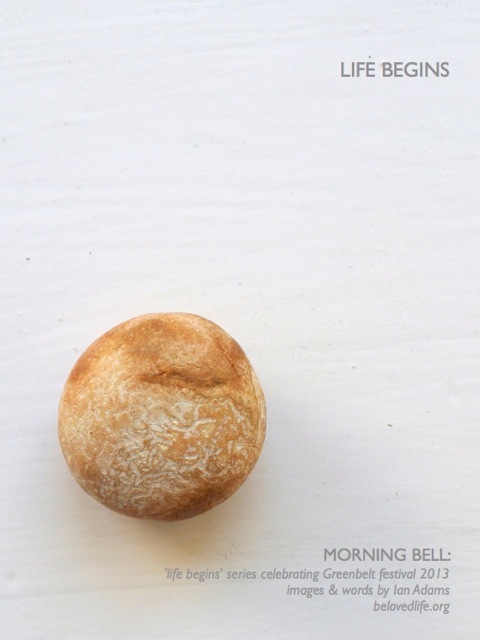 A new series of morning bell begins on Friday celebrating Greenbelt festival which is on this weekend. This is Greenbelt’s 40th year, and the theme is ‘life begins’. Every year the festival seems to offer us renewed inspiration and a vital sense of belonging as we seek to explore the Christ path with others in a complex world.